Looking for free activities, books, and movies? The Champaign Public Library and Douglass Branch offer remarkable resources for families, including 11 storytimes every week. Don’t miss out on this weekend’s events at the library, including a Life-Sized Candy Land adventure on Saturday from 2-4 p.m.You’ll find the library activity room transformed into a giant Candy Land game board. All ages are invited to play—and then try board games or a craft afterwards. Great for the entire family and completely FREE! The Champaign Public Library will be closed on December 24 and 25, and on January 1, which means it’s a great time to try ebooks and more. 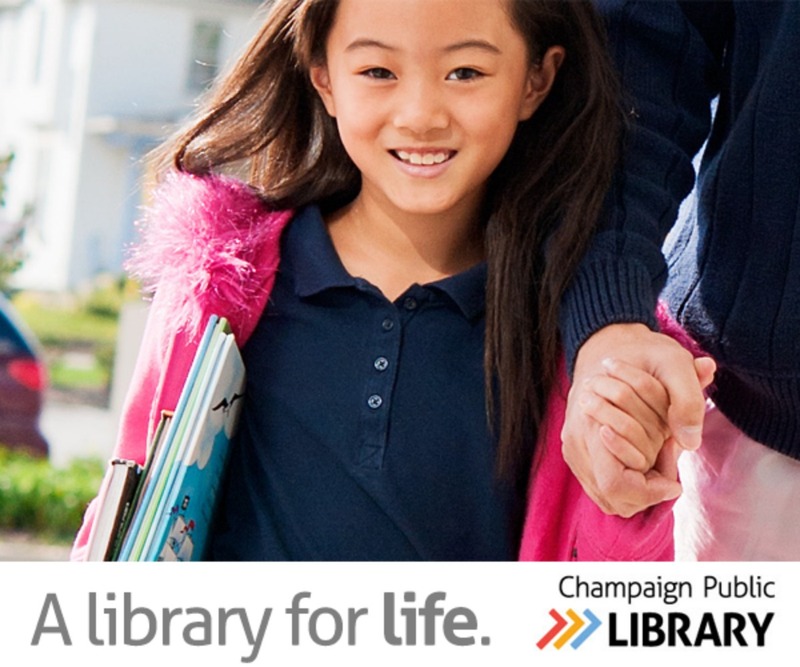 Your Champaign library card gives you access to more than 200,000 titles available for streaming or downloading—ebooks, audiobooks, movies, TV shows, and even graphic novels. It’s going to be a busy weekend for a lot of you. Chanukah is here, and we have the tips on how to celebrate in Champaign-Urbana. Want to take part in a local holiday tradition from home? Dial-A-Carol returns. Time to finish up the loose ends on your holiday to-do list. Need some last minute gifts? Check out our Shop Local Guide. There’s still time to get your picture taken with Santa, have breakfast with Santa, Go see some holiday lights, and buy a live tree. Need more holiday fun? Our Gigantic Holiday Fun lists all things holiday in CU, and our Holiday Bucket List gives you 35 of our “must-do” holiday activities. And don’t forget to sign up for our daily holiday newsletter, Ho Ho Holidays. Winter break is almost here, which means some of you are looking for Winter Break Camps and Childcare for your kiddos. For those of you who want to plan ahead, we’ve listed Family-Friendly Christmas Eve Church Services and Where to Eat on Christmas Eve and Christmas Day, and how to have a kid-friendly New Year’s Eve in Champaign-Urbana. When: Saturday, Dec. 16, 1:00 – 5:00 p.m.
How much: Special event pricing is $3 for Orpheum members; $8 for non-members; $24 for family/group pack (4 people, $6 per person); and $1 for EBT/LINK cardholders (up to 4) – ID required. When: Saturday, Dec. 16, 1:30-4:00 & 7:30 p.m.- 9:30 p.m. and Sunday, Dec. 17, 1:30-4:00 p.m.
Why you should go: Not one but three opportunities to go ice skating this weekend at the Illini Ice Arena! The University of Illinois Ice Arena will be transformed into a winter wonderland with trees, snow, and lights. When: Saturday, Dec. 16, 2:00-4:00 p.m.
Why you should go: Got a sweet tooth? Kids and their families can follow the rainbow path through a magical land of sweet surprises!You’ll find the library activity room transformed into a giant Candy Land game board. When: Saturday, Dec. 16, 2:00 p.m. – 3:00 p.m.; Sunday, Dec. 17, 2:00-3:00 p.m.
Why you should go: Santa has lost his compass and can’t find his way home. Learn about the day and night sky and how the stars seem to make pictures in the sky in this holiday show for young stargazers. It’s the last showing of Santa Secret Star of the holiday season. When: Sunday, Dec. 17, 3:00 – 3:45 p.m.
Why you should go: It’s a wonderful time of year, and Frosty is throwing a party for the whole family! Snowman-related songs, stories, and crafts.